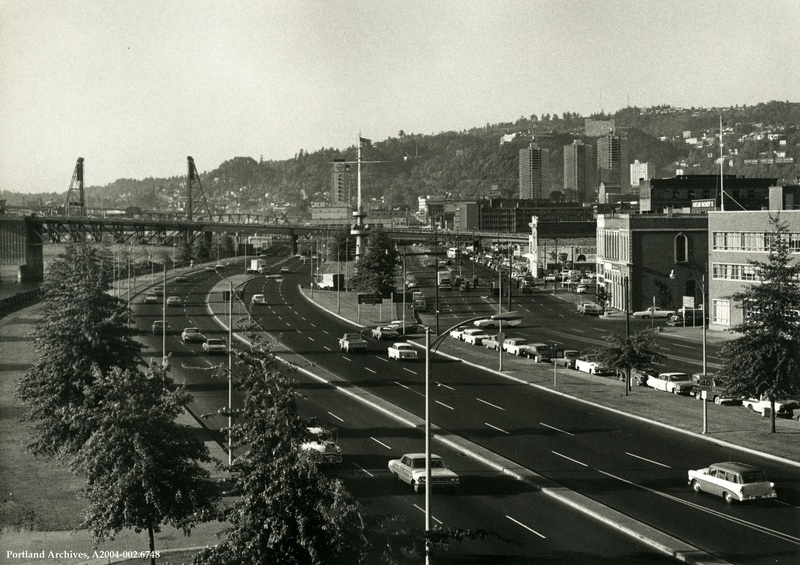 Close-up view of Harbor Drive from the Burnside Bridge, circa 1965. 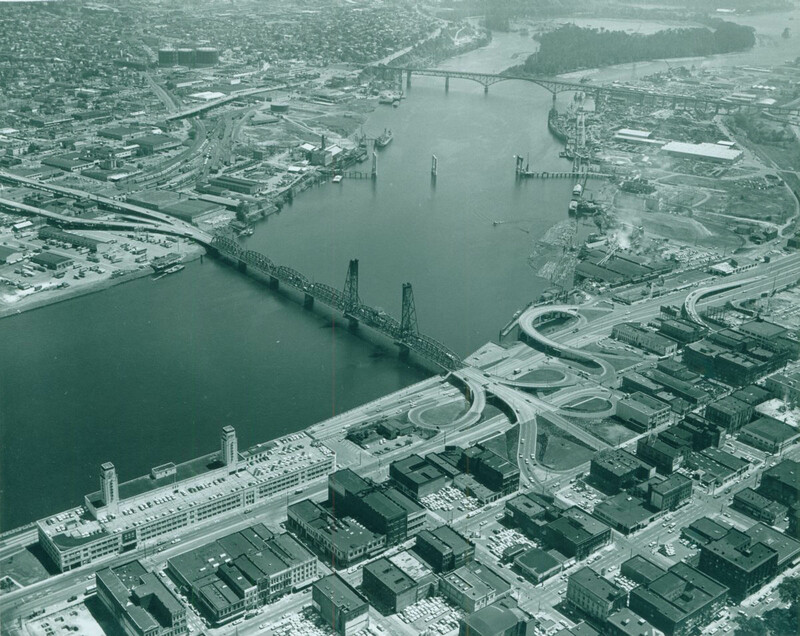 This could almost be mistaken for Tom McCall Waterfront Park today except SW Harbor Drive was still in place along the riverfront in this 1970 photo. 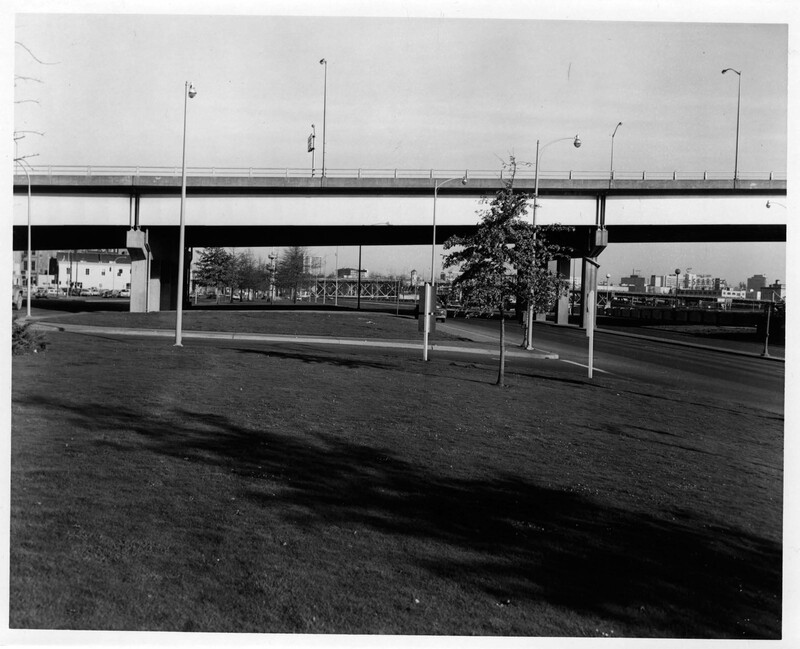 Before the park was built this was just a grassy piece of land between Harbor Drive and Front Street on the left. 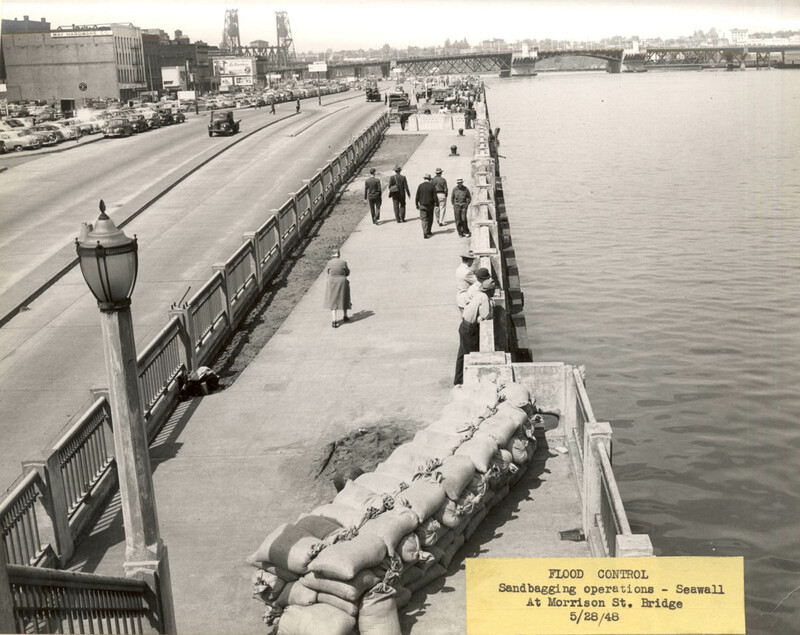 Pedestrians along the westside seawall check out river levels during the 1948 flood. A little farther north city crews are hard at work continuing sandbagging operations to prevent flooding along SW Harbor Drive. 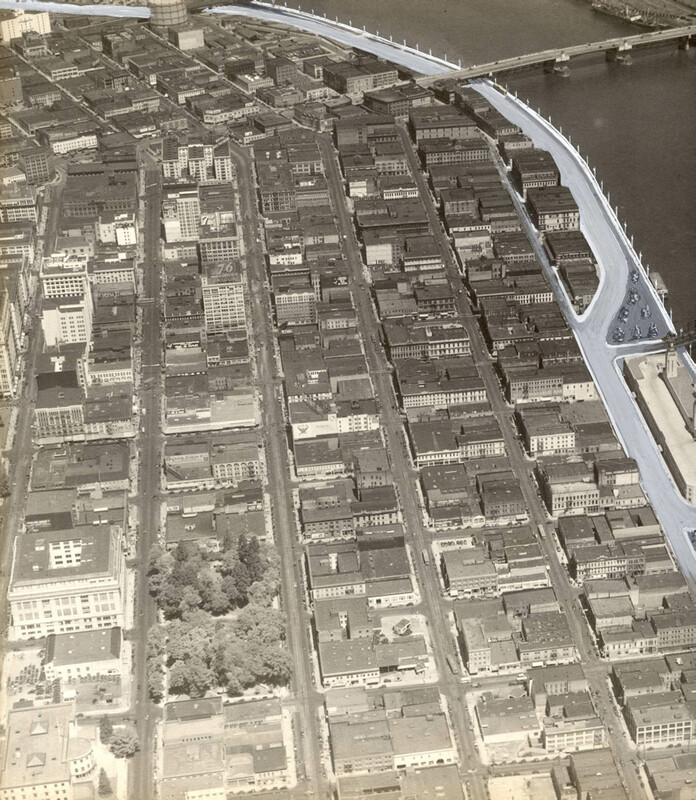 This view is looking north from the Morrison Bridge sidewalk. 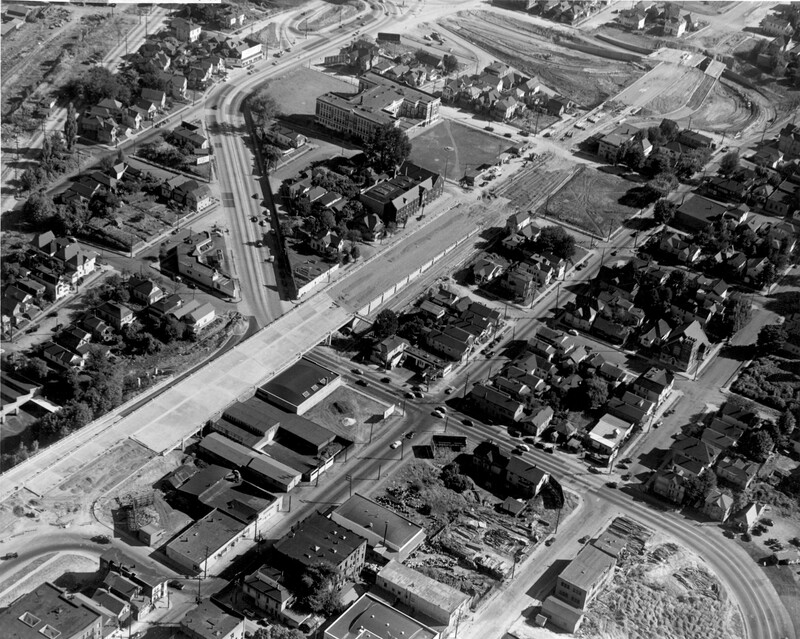 This 1938 aerial image of downtown shows an artist’s rendering along the west side waterfront. It was probably used as a device to envision placement of Harbor Drive. This particular version left intact the Portland Public Market building on the right. 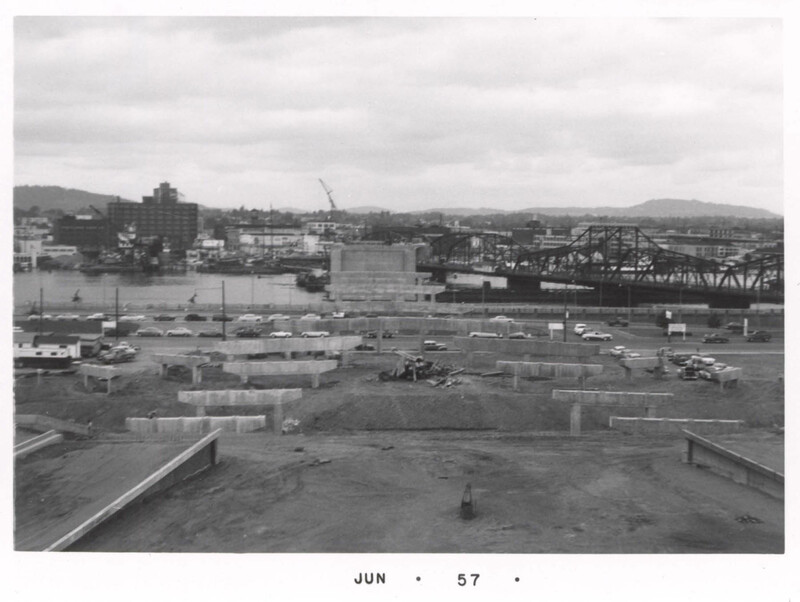 Footings for the new Morrison Bridge are being constructed next to the old bridge in this 1957 photo. The view is looking east across the ramp approaches crossing SW 1st Avenue, Front and then Harbor Drive, visible in the distance.